The deception of his brother and his father has weighed heavily on him. For two decades he has lived away from home—ample time for the event to magnify itself in his mind and become a fixation: What else could I have done? He knows that he did wrong. He also knows that there was no other way. He had been fighting his brother all his life. Even in the womb, he was fighting his brother. It was only chance that determined the birthright. It should have been his! He knew what was at stake, and he knew that he was the only one of the two who could, and would, carry the family legacy forward. But chance had ruled otherwise, and his brother was born first. He had done what he had done in order to turn the tables, but it had cost him dearly. His leaving home was an amputation of the better part of himself. How could he not feel crippled and maimed by what he had done? Now, twenty years later, he is returning home. He has been warned that his brother is coming to meet him with an army at his back. It isn’t only for his own sake that he fears the encounter now. He has a family to protect; the bearers of the legacy are now part of what might be lost. He does what he can to protect them, dividing them into two camps in hopes of preserving a remnant. Then, under the cover of night, he sends both camps across the river to safety. He is left alone. Alone that is, except for his fears and his memories. During the night he relives that fateful day of deception. He bears it in him like a nightmare and relives it in hope of changing the ending. In his yearning for closure, that event merges with the earlier, more primal battle—the battle with his brother in the womb. He knows that he can’t win, that chance will rule for his brother and he will be left behind, desperately trying to the last to reverse the decision, holding his brother’s heel as if to call him back into the womb. “Who are you?” his father asks, as he has asked these twenty years of reliving that awful moment. “I’m your firstborn, Esav,” he says, his hands echoing his yearning to put the record straight. Twenty years of deception…. Now it is coming due. He knows that there is no wrongdoing without recompense. He has had cause to learn that essential truth throughout these years of living among deceivers. Twenty years of living with his own deceit and being deceived in turn. Now it is at an end. “Who are you?” his father asks, as he relives his endless struggle with his brother. He has held on until the end, yet again. But this time, perhaps the end will be different. “What is your name?” The usual answer is on the tip of his tongue—the deception, the desire to be not-Ya’akov. But this time, it will be different! He could have tacked on his father’s name, in hopes of benefiting from the reflected glory, of detracting attention from the name of “heel grasper”, “deceiver”, “’would-be-first”, but he doesn’t. He states the plain truth: “Ya’akov.” I am the one who did not win. I fight that fight anew every night. It ends the same each time. But now I am ready to admit that I’m just Ya’akov. Just myself. 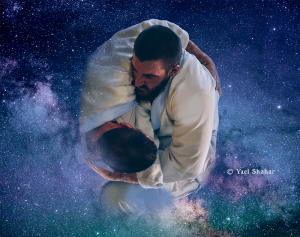 What does it mean to be Yisrael? And, still over-awed and wondering, he looks up to find that his brother, with an army at his back, has stolen a march on him. 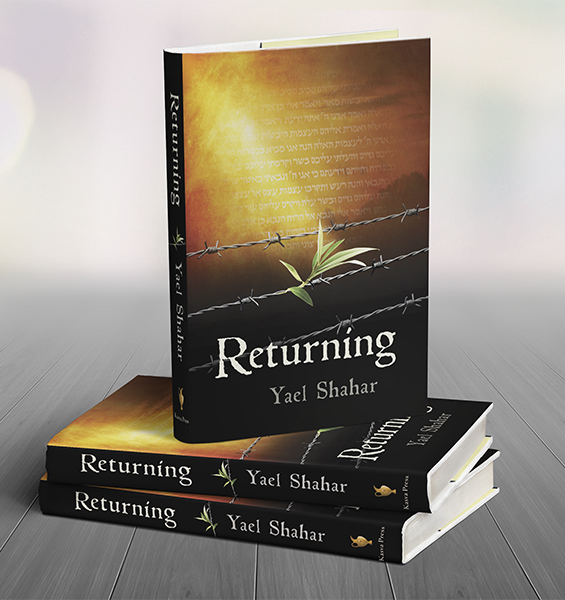 With no time left to put a distance between his family and Esav, he turns to face the encounter that he has feared for two decades. He has done what he could to make amends. The brachah that he won by deception promised him the fat of the land and the dew of heaven—seemingly material benefits. He has “returned the brachah” to Esav through an offering of riches, sent in a continuous stream of “drips” as the dew of heaven. Later, he will be reconciled with his brother, and will use the phrase, “like seeing the face of God!” This reconciliation will be, for him, the actualization of what he experienced this night—Midat ha Din and Middat HaRahamin. For now, he knows that this time, he has earned the brachah. The former spiritual limp has been transformed to a mere physical manifestation. 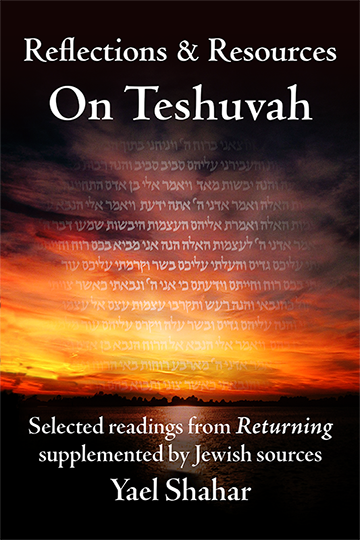 He has battled through his memories to win through to teshuvah. The true brachah has now been earned in fair fight. He is not the same person as he was the evening before. He relived the trauma of wrongdoing and understood what was necessary to come out on the other side. He has become someone else. And yet, he will still be called Ya’akov numerous times in the aftermath. The name Yisrael will be used as a signpost to the future. Like the blessing, it must be earned anew in each generation. We—Ya’akov’s descendants—will rarely be called outright by that name. The nations of the world will call us many things, but that name will remain implicit. Until now. In our day, for the first time, the Jewish people have grasped hold of their name as foretold and taken it upon themselves explicitly, by their own decision. And for the first time, the nations of the world refer to us by the name we were given by Ya’akov’s battle with himself—Yisrael. We too, have struggled with our pasts, our memories, and our God. And we too, have learned that what we become is in our hands.